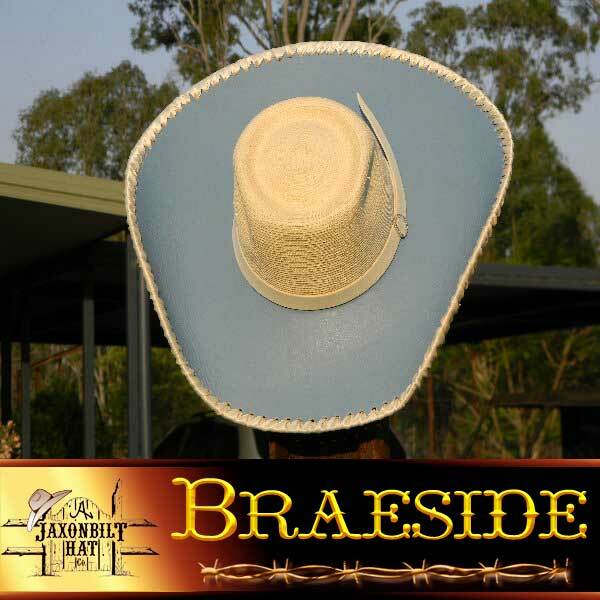 “Braeside” Take a long look at this beauty. 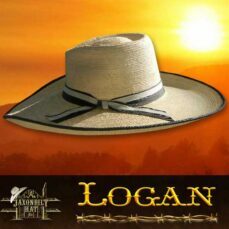 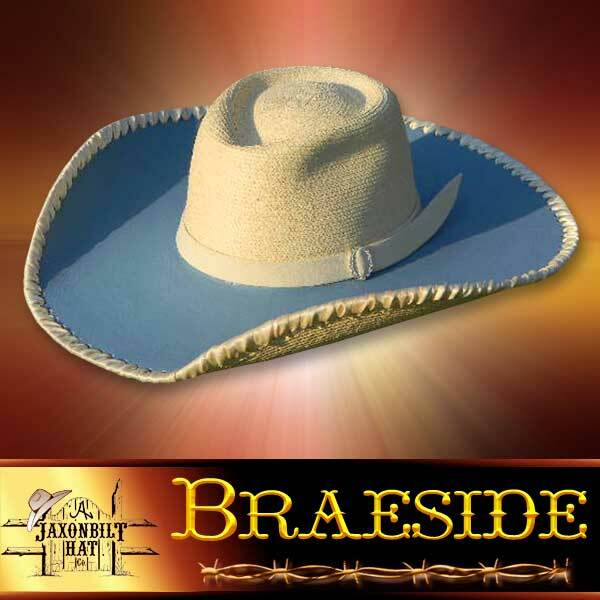 The blue “leather” on the top side of the brim gives this hat a beauty all its own. 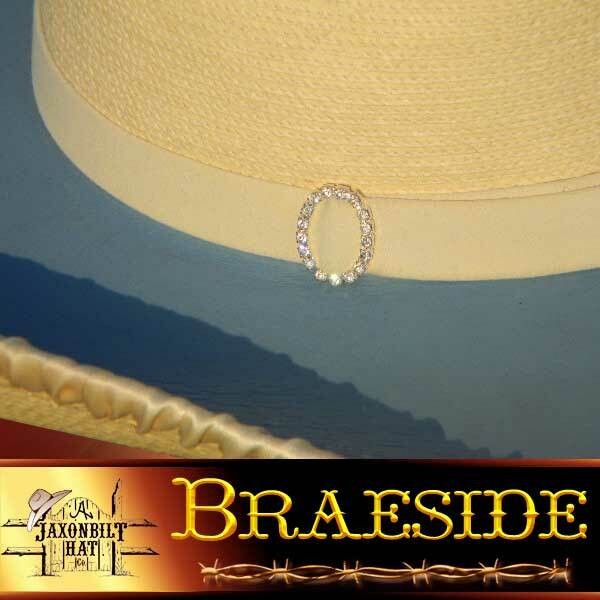 Part of the JB’s Occasional Cowgirls line up, the Braeside is a straw hat that can be worn in the most elegant of situations. 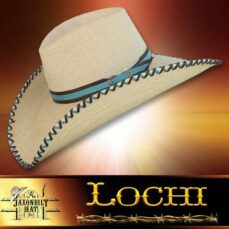 The brim is lace with a ribbon which harmonizes with the crown band set off with a stone studded keeper. 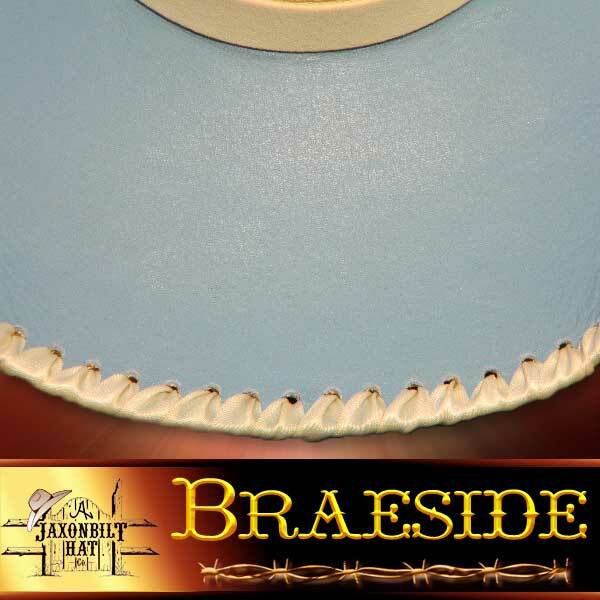 Choose your own leather and lace combinations.